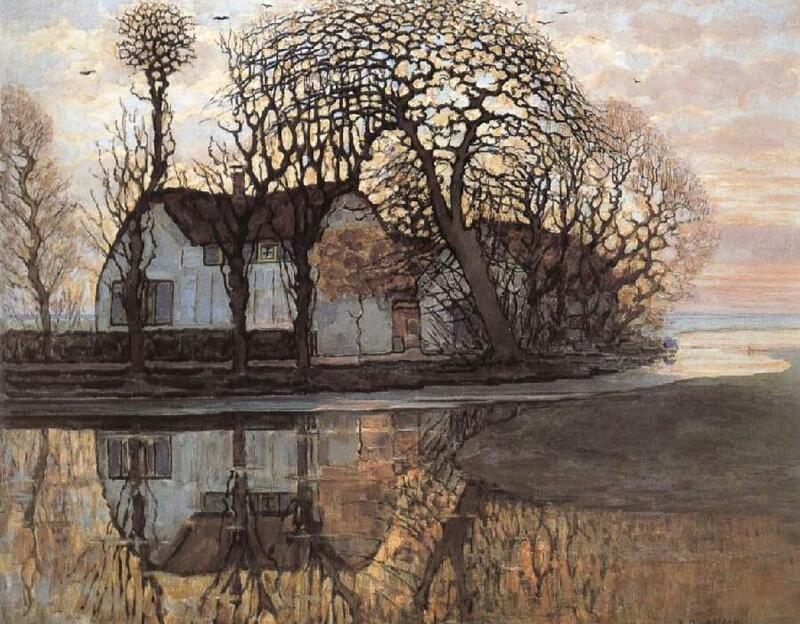 Piet Mondrian was born in the Netherlands, and received his formal training there; he attended the Rijksadame van Beeldende in Amsterdam. Mondrian was born 24 years after Vincent van Gogh, but the art was the same as it had been when Van Gogh went away into the marshes to paint. Mondrian took an interest in impressionist techniques and this form of art with the early works that he did. Like Van Gogh, Mondrian use pure, glowing colors and expressive brushwork under the influence of pointillism and Fauvism. The still life images, the landscape design work, and other scenes which he depicted in his early career, all depicted this style.